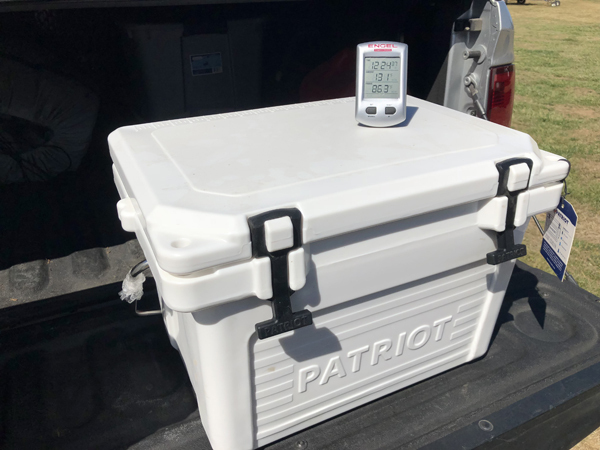 When reading online that Patriot Coolers advertises up to 5 days of ice retention from their 20qt cooler we were a bit skeptical. The longest lasting small cooler (20-30qt) we have tested up to now was a little over 4 days. That was the Grizzly (USA made) 20 quart cooler. [See The Video Test Below] It turns out that the Patriot was more capable than we had originally envisioned. Before we get to the test results, we have to address an even bigger selling point of Patriot Coolers. 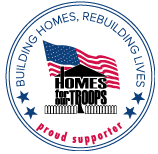 Patriot offers military discounts and a portion of their proceeds go to Homes For Our Troops. Discounts are available to active and retired military as well as law enforcement and first responders. Needless to say, the name Patriot Coolers is fitting for their cause. Considering Patriot is donating a portion of their proceeds its hard to believe how affordable this cooler is even without any discounts. For a roto molded cooler of this caliber, it is one of the most aggressively priced for its’ size. As previously mentioned, the top performing cooler up until the point that we tested the Patriot was just over 4 days. This conclusion was based on testing 5 top coolers in the 20-30qt range. 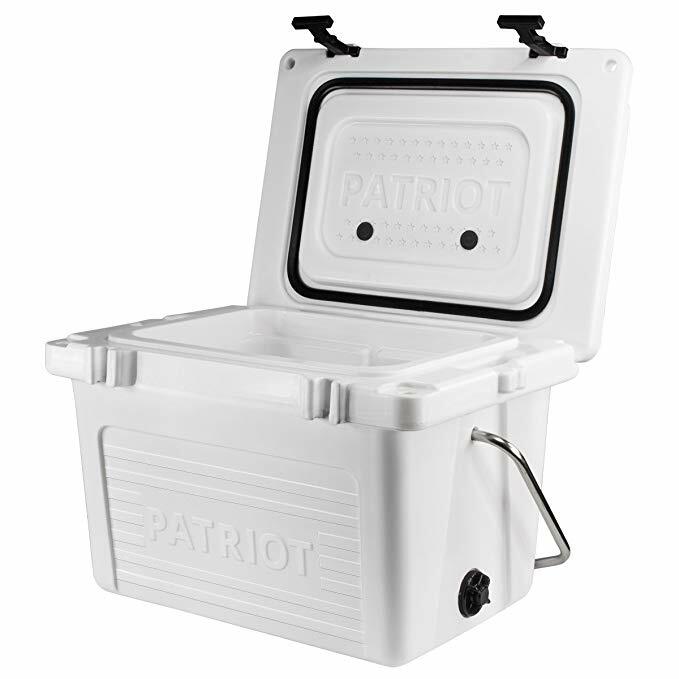 Therefore, we wanted to test the Patriot under the same conditions so that the comparison could be made between Patriot and the coolers in our first Small Cooler Ice Challenge. This would mean filling the Patriot 20qt to capacity with ice, which turned out to be about 20lbs of ice. We also added two beverages to the cooler as we have found this makes it much easier to gauge ice melt by viewers (you at home). The beverages were rotated 3 times a day to simulate actual use. Lastly, coolers would be left outside in the sun for the duration of the test. This is where we deviated slightly in our testing. 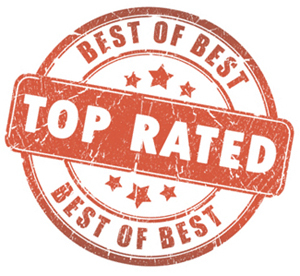 Almost all of our prior tests were conducted in Central Florida. This test was actually conducted while we were on the road in Oregon. Even though we were in a geographically cooler climate, at the time of testing, was a heat wave in the Pacific Northwest. We recorded lid temperatures as high as 131°. However, to be fair, evening temperatures were cooler than we would expect in Florida. Regardless of a slight temperature variation, the performance of OVER 5 Days by the Patriot is the best we have witnessed. See the video for yourself. 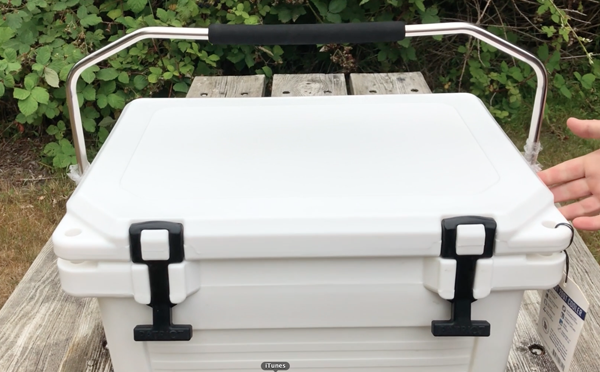 As shown in the video, the Patriot 20qt is now our longest lasting small cooler. Not only did the Patriot perform up to the Grizzly standard but the look and feel of this cooler reminds us of the Grizzly 20 too. This is definitely a compliment to the build quality, yet more affordable. Better yet, all Patriot coolers are backed up by a 5 year warranty. Check out the current pricing and availability of the Patriot 20 below.